Mo li hua (Jasmine) is a tri-language publication suitable for Chinese - or English-speaking choirs. A collection of arrangements of five well-known traditional Chinese songs depicting the simplicity and beauty of everyday life, it includes simplified and traditional Chinese scripts, as well as English singing translations. 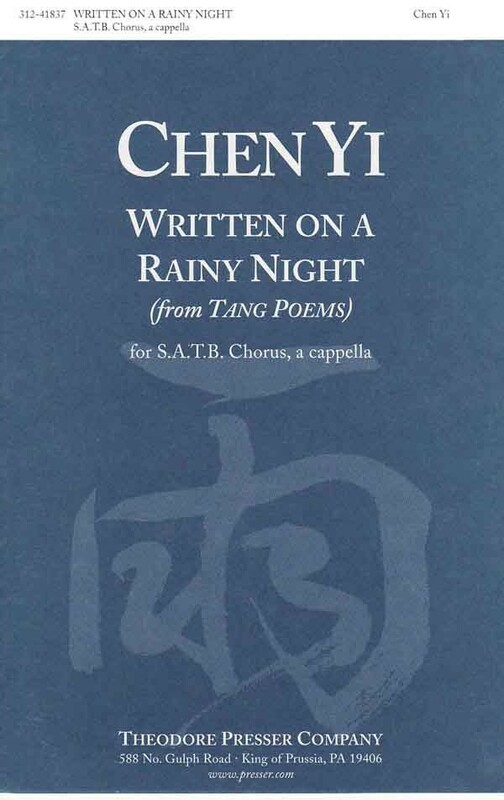 A Pinyin version of the Chinese - for non-Chinese reading choirs - will be available from the OUP website.The songs-drawn from across China-are arranged sympathetically and in Chilcott's original style, suggesting a musical fusion of East and West. The song 'Mo li hua' was written for The Bach Choir and David Hill, who gave its premiere while on tour in China in April 2014. Chinese Folk Songs is the result of collaboration between two of Theodore Presser Company's most prolific composers. It was commissioned and premiered by the Cornell University Chorus and Glee Club, March 16, 2008 in Beijing, China. 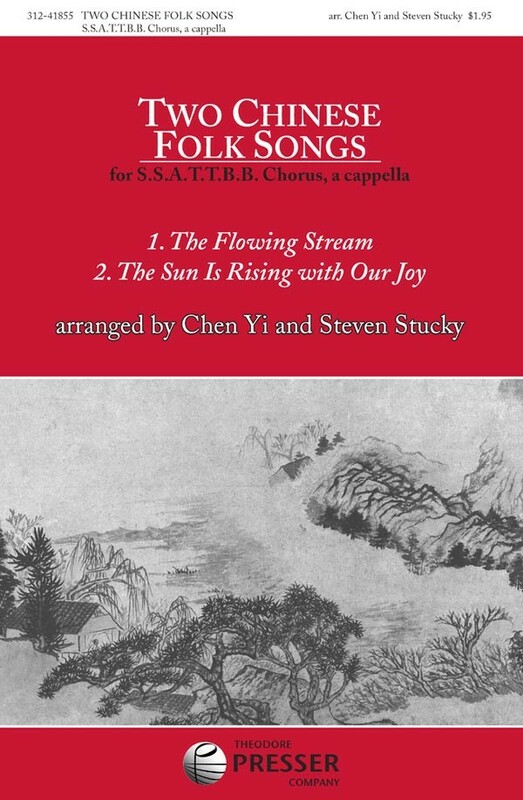 Chen Yi sets the love song "The Flowing Stream" for women's chorus, and Steven Stucky sets the work song "The Sun Is Rising with Our Joy" for men's chorus. In the final section, both songs are interwoven and overlapped with full mixed chorus. For advanced choirs. 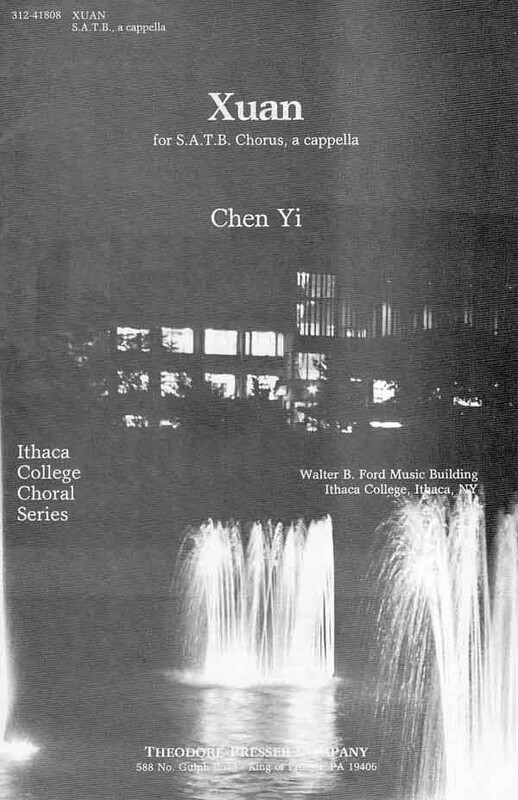 As a Distinguished Professor at the University of Missouri-Kansas City Conservatory of Music and Dance, a prolific composer and recipient of the prestigious Charles Ives Living Award from the American Academy of Arts and Letters, Chen Yi blends Chinese and Western traditions, transcending cultural and musical boundaries. 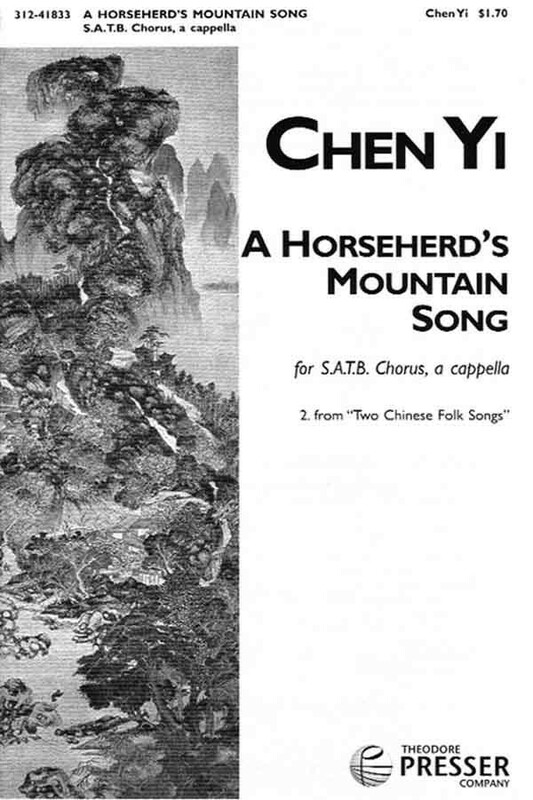 This is a collection of her works for unaccompanied treble voices including Chinese Mountain Songs commission for Kitka by commissioning grants from the National Endowment for the Arts and the Rockefeller Foundation. As a Distinguished Professor at the University of Missouri-Kansas City Conservatory of Music and Dance, a prolific composer and recipient of the prestigious Charles Ives Living Award from the American Academy of Arts and Letters, Chen Yi blends Chinese and Western traditions, transcending cultural and musical boundaries. These are a collection of her works for unaccompanied mixed voices. As a Distinguished Professor at the University of Missouri-Kansas City Conservatory of Music and Dance, a prolific composer and recipient of the prestigious Charles Ives Living Award from the American Academy of Arts and Letters, Chen Yi blends Chinese and Western traditions, transcending cultural and musical boundaries. Songlist: Sakura, Sakura, Arirang, Xuan, Written on a Rainy Night (Tang poem), Landscape, Know You How Many Petals Falling? Commissioned by and dedicated to the Singapore Youth Choir, under the direction of Jennifer Tham, who premiered the works in July 2004 for their 40th anniversary celebration. 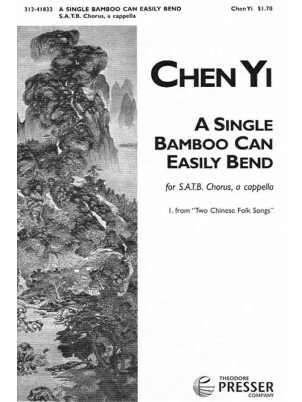 Chen's unique musical language brings ancient texts and melodies into the current day; the resulting blending is still indicative of both realms. For better concert choirs looking for a diverse yet challenging program. Based on an ancient Taoist fable about a small village farmer whose fortune continually changes through a chain of interconnected events. Singers are divided into two character groups - the narrator and the villagers - and a soloist sings the role of the farmer. The moral of the story: You never know, keep on going. All is not as it first appears. Half Moon Rising, compiled and edited by John Winzenburg, offers a broad range of choirs an informed introduction to performing Chinese choral music. 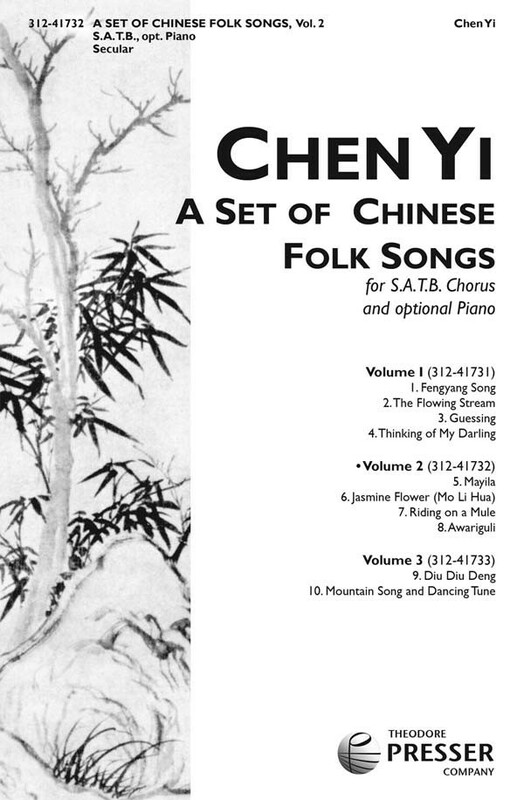 The collection includes a representative and contrasting selection of works from the past century - folksong arrangements; pieces mixing traditional Chinese and Western Romantic styles; and contemporary settings of ancient poetry. Includes a broad range of styles and dialects, illustrating the region's rich diversity, all presented with the transliterated original text with poetic English translations below the staves and introductions containing information on the composers/arrangers; performance notes; and literal English translations. 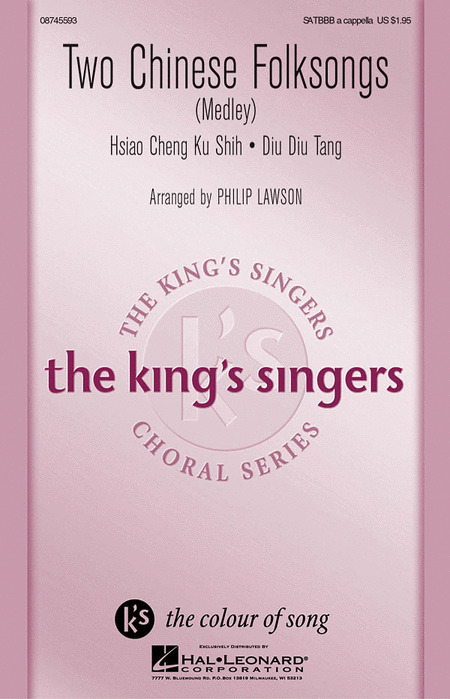 The popularity of Chinese folk music makes this King's Singers collection especially useful by choirs worldwide. Includes English translations and pronunciation helps. Unusual and charming but not unduly difficult, this fun arrangement by honored Canadian choral master Jon Washburn can be sung in either transliterated Chinese or in English. Includes 'Kang Ding Love Song' and 'Looking for Plum Blossoms in the Snow.' "Hsiao Cheng Ku Shih" and "Diu Diu Tang" are skillfully interwoven in this unique setting for Philip Lawson of the King's Singers. This is a poignant evocation of morning, opening and closing with a delicate, folk-like melody in the solo part supported by hums and vocalizing. A central episode is more urgent and uses dance rhythms. Despite the divisi in all parts the pieces is surprisingly easy to prepare, making it accessible to school choirs. Zhou Long (b. July 8, 1953, Beijing) is internationally recognized for creating a unique body of music that brings together the aesthetic concepts and musical elements of East and West. Deeply grounded in the entire spectrum of his Chinese heritage, including folk, philosophical, and spiritual ideals, he is a pioneer in transferring the idiomatic sounds and techniques of ancient Chinese musical traditions to modern Western instruments and ensembles. 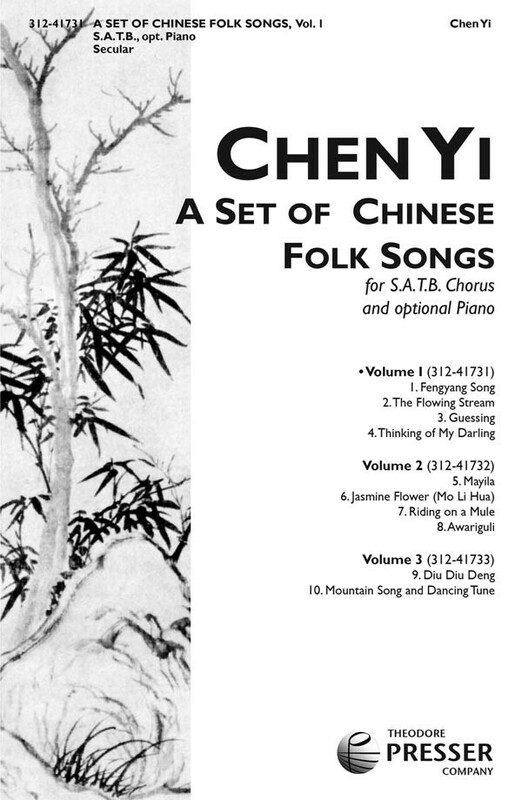 This is a collection of traditional Chinese folk songs selected to reflect the four seasons that will add a nice touch of the orient to your repertoire. The text from this work is selected from The Book of Songs, China's earliest anthology of poetry consisting of 305 songs popular between the 11th and 6tth centuries B.C. More than half of them are folk songs from various parts of the country, while the rest are ceremonial or festive songs sung at court or at banquets and hymns used during sacrifices to the gods or one's ancestors. Most of the poems are written in a simple and natural style to times and have been highly appreciated throughout the ages and have exerted a profound influence on the development of Chinese literature. The composer has chosen an English translation of the two poems so that this oldest of China's literary classics may be better understood. The musical style is not restricted to the traditional folk song form in pentatonic scale: freer melodic expression is achieved through atonal means and the style of a rustic song is retained. "The Peach Tree" (Tao Yao) is concerned with the popular marriage customs, where woman are considered the possession of men. "Gathering Plantain" (Fou Yi) is a work song sung by women as they gather plantain grass. Displaying 1-40 of 40 items. 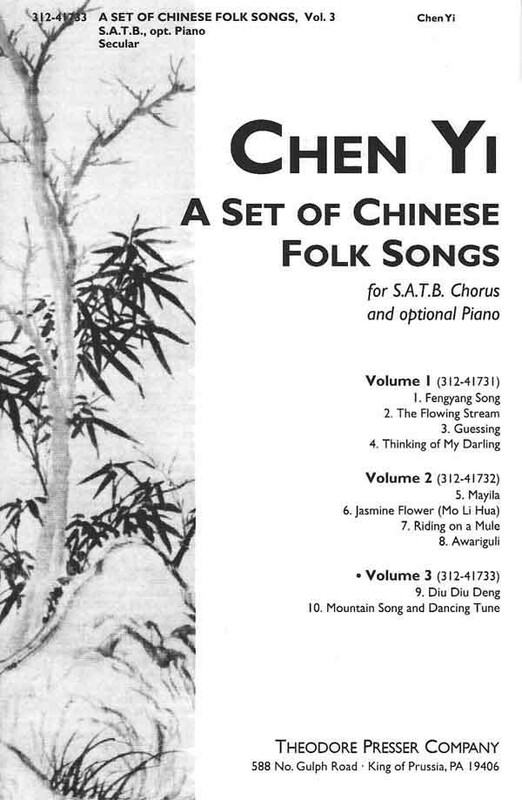 The first of three volumes of folk songs collected from the provinces of China. It can be performed a cappella or with piano accompaniment. The second of three volumes of folksongs collectedfrom the provinces of China. It can be performed a cappella or with piano accompaniment. The third of three volumes of folksongs collected from the provinces of China. It can be performed a cappella or with piano accompaniment. This ancient Chinese pentatonic tune, beautifully arranged here with piano and cello accompaniment, will add a special charm to a concert. It is to be sung in Chinese--a language truly beautiful to sing--and to assist in learning, there is in-score pronunciation help. The extended instrumental introduction invites the addition of a Chinese dancer. 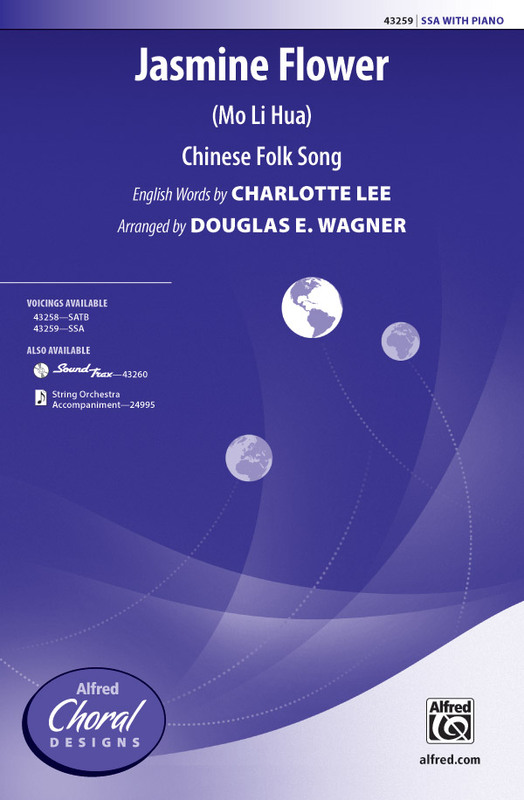 This work is scored for a professional children's choir, or a women's chorus, guiro(s) and harp and is based on a folk song from northern Shaanxi Province in China. The music is a simple rhythmic towing song sung by boat-trackers along the river and is noted for its vivid reflection of the tempestuous turbulence of the river. The whimsical sentiment of an ancient Chinese poem inspired this spirited piece. "I asked the bright Moon, To bring me my Shadow and make us three." With melodic interest in all parts, this work will be a joy to sing. Framed by the bucolic scenery from an Asian hillside, this traditional Chinese song tells about the joy of living and the peaceful beauty of the region. This accesible setting programs easily into concert programs. The poem is notated in phonetic Chinese, with English translation of the text. Visit www.waltonmusic.com/2009Sampler for spoken pronunciation guide. Duration: ca. 2:20. 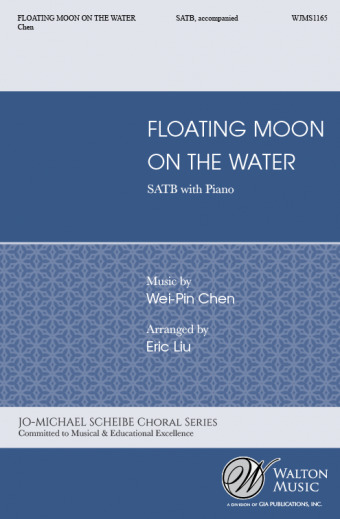 Floating Moon on the Water uses a beautiful text in Taiwanese by Wei-Pin Chen. Using western tonality blended with Taiwanese elements, the melody begins with a touch of sadness and is followed by flowing sounds of pictures on the water. A gorgeous work in a unique language. Jo-Michael Scheibe Choral Series. Hsiao Cheng Ku Shih and Diu Diu Tang are skillfully interwoven in this unique setting. A Japanese haiku from the 19th century shapes the atmosphere of this graceful setting with gentle call and response vocal lines and an expressive accompaniment for piano or optional bass, percussion and violin (or other melody instrument). In English translation: In the stillness, fireflies are glowing over deep water. 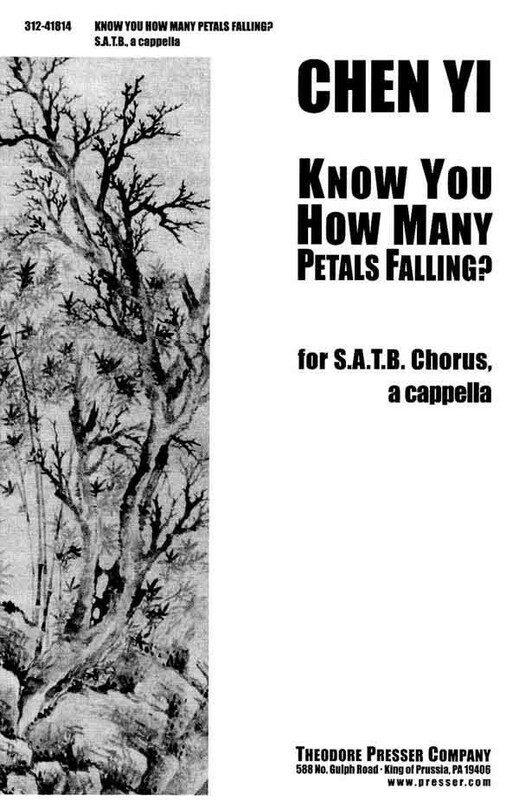 Available separately SATB, 3-Part Mixed and 2-Part. Duration: ca. 3:15. With likely origins in the southern China provinces, the soothing pentatonic melody of this traditional folk song is reminiscent of the simple beauty of a white jasmine blossom. This lovely choral setting, layered with independent voice lines, is effective with the shimmering piano accompaniment or the optional string orchestra parts. Chen Yi : Know You How Many Petals Falling? A choral work commissioned by the 6th World Choral Symposium and dedicated to the memory of those who lost their lives during the attacks of 9/11/01 in New York City. Chen Yi brings a 2nd century Chinese poem to life for women's chorus, adding to the composer's growing body of choral works based upon the ancient art of China. Piano reduction is included for rehears al. Duration: 3'. Numerous composers have been drawn to the haunting melody of the popular Chinese folk song Jasmine Flower. This setting seeks to restore the tune to a more authentic stylistic palette with a few Western elements. For mixed voices, soprano solo, flute and optional plucked instrument, includes translation and transliteration. Duration: ca. 3:00. Numerous composers have been drawn to the haunting melody of the popular Chinese folk song Jasmine Flower. This setting seeks to restore the tune to a more authentic stylistic palette with a few Western elements. Originally scored by composer Rogers for SATB choir (48020747) this new arrangement for SA choir, flute and optional plucked instrument is a wonderful addition to the treble repertoire. Includes translation and transliteration. Elegant and simple, this traditional Chinese folk song about the Jasmine flower has been arranged by Jill Gallina. A graceful flute part floats delicately above the piano accompaniment. A translation and pronunciation guide is included within the choral. Mò Li Hua is a strong multicultural selection for programs and festivals. Composer Bisbee has painted a beautiful picture of a Chinese garden. The gentle finger cymbals set the tone, the piano adding embellishment like a colorful blossom in the garden. 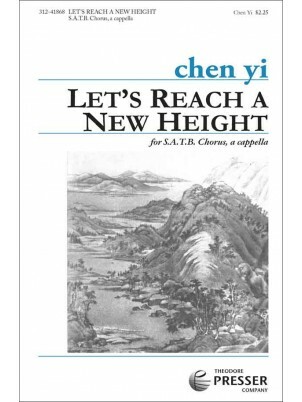 To be sung in Chinese, there is a pronunciation guide for this easy text. This gorgeous setting of an ancient Chinese tune is tender in nature, possessing haunting melodies. It evokes a light, delicate style and a peaceful, serene mood, making it an ideal multicultural programming contrast. 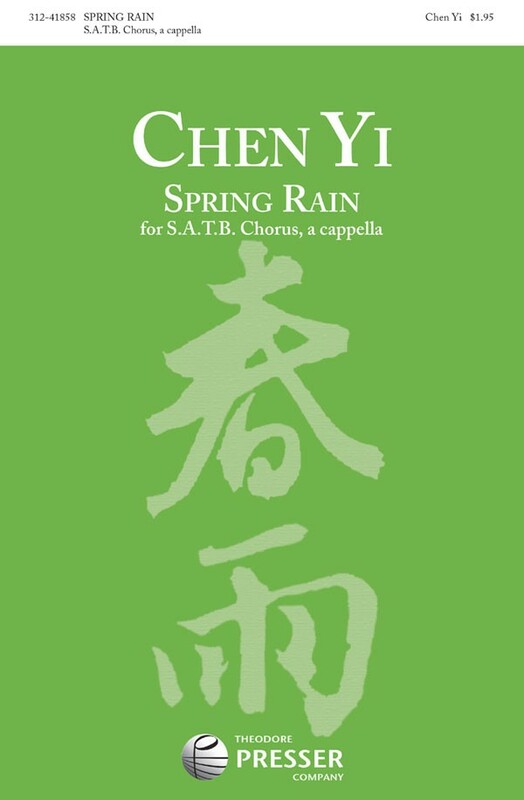 Spring Rain was commissioned by the Singapore Anglo-Chinese Junior College Choir, directed by Valerie Wilson. The text, sung in Chinese, is from an ancient Chinese poem by Du Fu (712-770), titled "Happy Rain on a Spring Night." 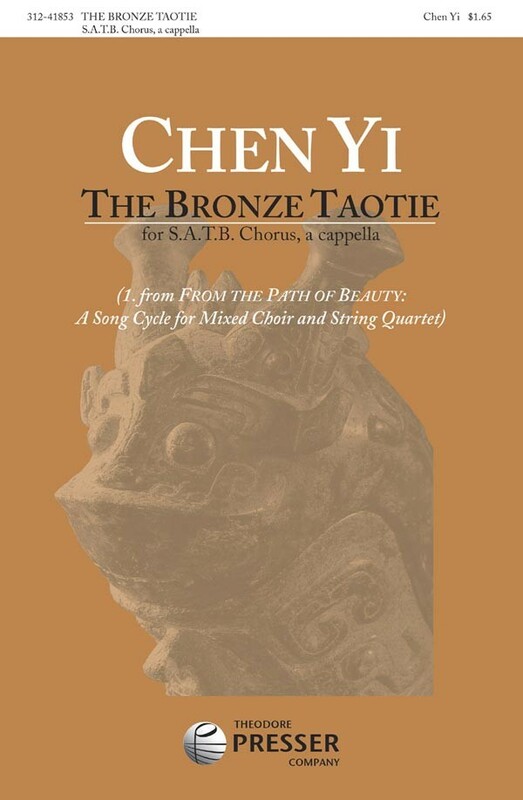 Chen Yi's From the Path of Beauty is a seven-movement song cycle for mixed choir. The publisher has made available this single movement in an alternate performance option of a cappella SATB chorus. According to the program notes, this cycle "brings us through the history of beauty in Chinese arts, from ancient totems to figurines, from poetry to calligraphy, from dance to music, from thoughts to the spirit. It is deep in expression and rich in color, lyrical yet dramatic." 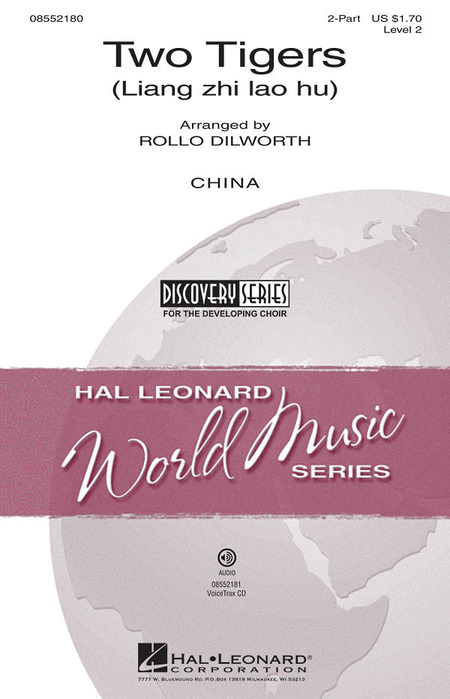 Commissioned by Chanticleer and the Shanghai Quartet for the celebration of their 30th and 25th anniversaries, the complete work was premiered on March 13, 2008 in San Francisco. The New York premiere followed on April 11, 2008 at The Metropolitan Museum of Art. 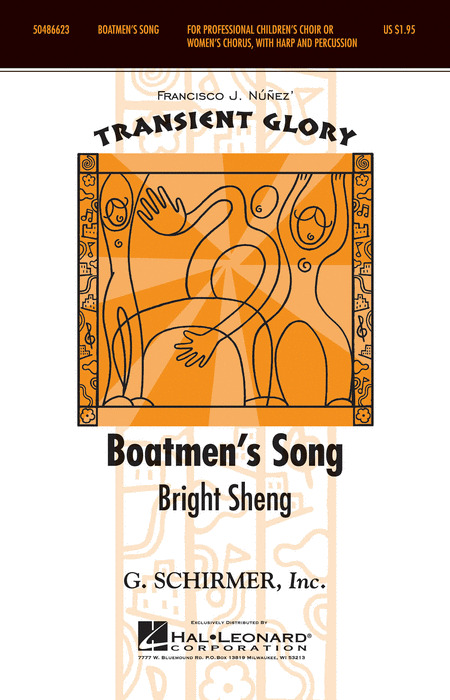 Great choral music transports you into the story of the text and the emotion of the song. From a 6th century Chinese poem recalling the separation from their loved ones caused by a sailor's life, Shirley McRae successfully carries us. Recommended for high school choirs, this piece is a musical escape into an age-old longing for those we love. Premiered at the 2001 Pacific Rim Choral Festival, this famous Chinese melody was written by the 19th century blind musician Ah Bing. 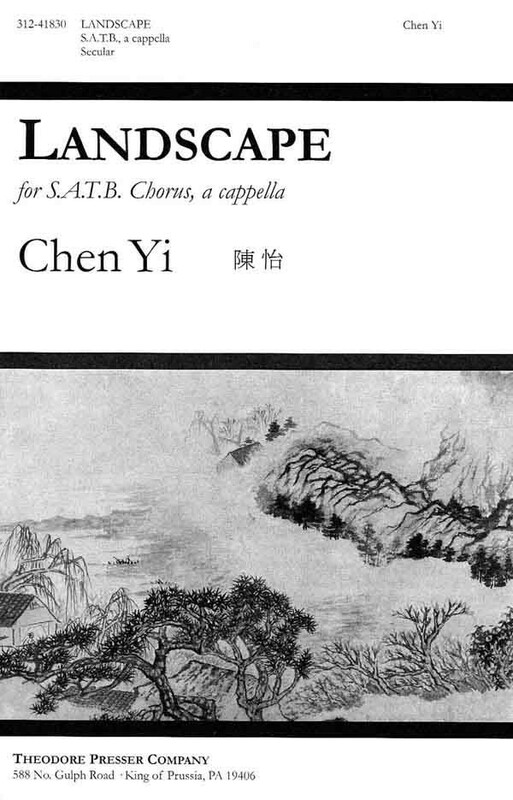 This arrangement by Leon Shiu-wai Tong features traditional Chinese instruments (which could be performed on mandolin and violin) and the beautiful wordless vocal harmonies of this treasured work. Selected for the Randy Stenson Male Chorus Series, this Japanese Children's Song has been artfully arranged by veteran teacher Victor Searle. A children's song for male voices? Yes, and that is what makes it all the more fun. The temple stories are as playful as the rest of us and the arrangement makes this piece an amusing and animated delight. Fitting for high school and college. Contents: Lan Hua Hua (Blue Flower) - Da Mai Hao Zi (Threshing Wheat Song) - Yang Guan San Dei (Song of the Tang Dynasty). Based on a Chinese folk song, here is a delightful mixture of Mandarin and English, of original material and folk music, all with a clever incorporation of the tune Freré Jacques. Available separately: 2-Part, VoiceTrax CD. Duration: ca. 2:45. 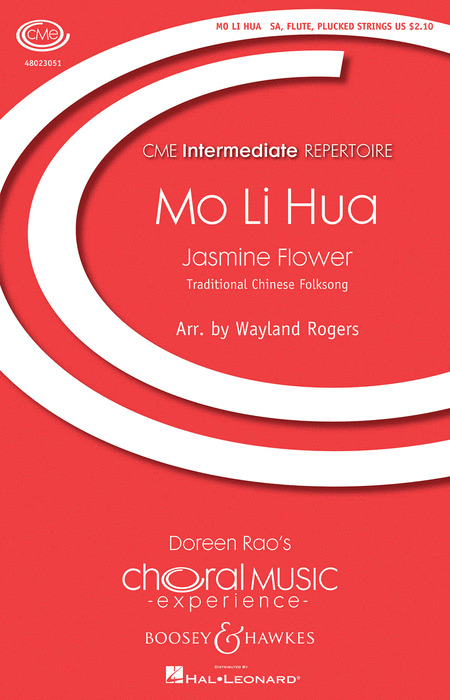 Sung in English and interspersed with Chinese nonsense syllables, With Flowers Blooming is a fascinating blend of folk-style melodies and rich exploratory textures for a cappella women's chorus. The 8th-century text celebrates happy leading to flowers blooming;. Premiered by the Ithaca College Chorus on Novemeber 10, 2001, directed by Professor Lawrence Doebler. This Chinese lullaby reflects a simpler time, showing the journey that a child travels as they fall asleep. An English translation and phonetic singing translation and the original Cantonese characters are included in the music. With opt. glockenspiel and flute.